Minted over 100 years ago, the Indian Head Cent gleams against the embellished wood grain handle of our Collector's Edition Pocket Knife. 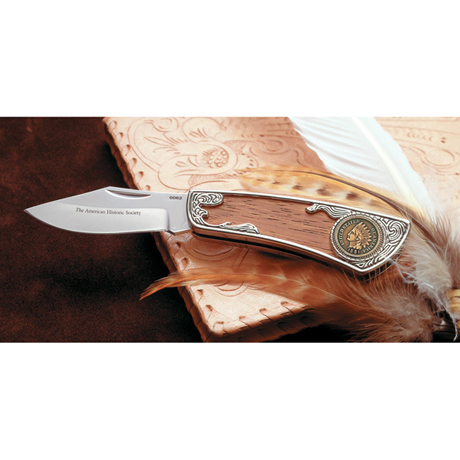 A very limited edition and an exclusive design of American Coin Treasures, this extraordinary Collector's Knife features a 2 7/8 inch stainless steel blade and includes a Certificate of Authenticity. Allow 1-2 weeks for delivery. Item can only be shipped within the Continental US.